With tools that help to create WhatsApp Stickers, WhatsApp retains its top place in the world of messaging apps. It has always been the all-time favorite chatting app since its launch. So be it is voice calling, video calling, locations sharing, or a plethora of emojis, WhatsApp is always on the winning side. 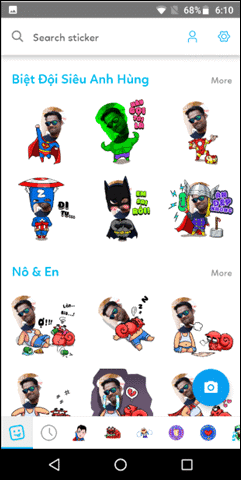 Trying to beat Hike and Line at their own game, WhatsApp has recently come up with some interesting stickers. 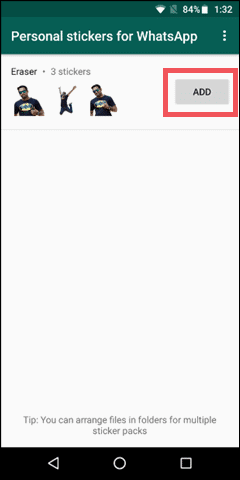 Just make sure you have the latest updated version of WhatsApp to get this option on your phone. Once you have it, you can see a new option of ‘Sticker’ added in the emoji section, beside the GIF option. These are the default stickers. Let us see how to use them. We also will explain later on how you can create your own customized WhatsApp Stickers. 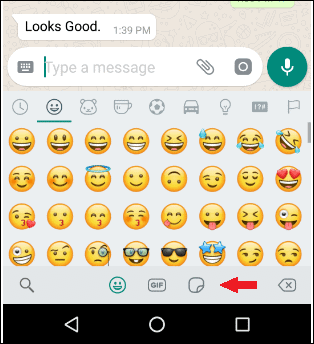 Initially, a single sticker-pack comes pre-installed when you update WhatsApp. You may also download more stickers from the store that you can use by clicking on the “+” sign on the right side stickers list. Once you click on “+” sign, you can see a variety of sticker packs that you can choose and download from. If you want more simply click on “Get More Stickers”. This will take you to the Google PlayStore where there are multiple stickers packs to choose and download from. Even though there many third-party stickers packs available, it is always more fun to design your own stickers using personal photographs or other visuals. 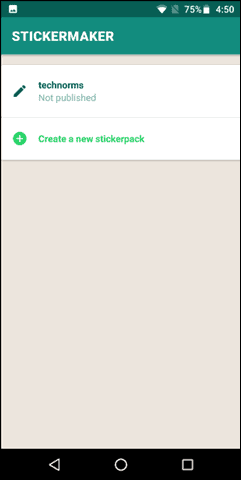 There are a number of apps available on the PlayStore that help you to create your own Sticker for WhatsApp. Here, we have picked up some of the best ones that serve the same purpose. There are three different methods to create your own customized stickers for WhatsApp. This method involves a number of steps. Just follow the step-by-step guide. Make sure your WhatsApp is updated, and you have a stable internet connection. Get some good images that you want to make stickers from. Each pic should have some different expression so that your stickers do not look all the same. 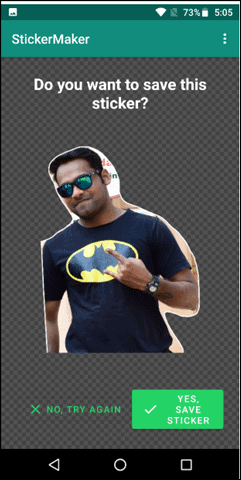 We are going to convert those pics into PNG format since WhatsApp supports only PNG file format for stickers. We need to clear the background of these images with the help of an app called Background Eraser App. Go to PlayStore and download Background Eraser app. Now, in the Background Eraser app, open the image that you want to make a sticker from, and clear the background. Save it in PNG format. Make sure you have created at least three images, as WhatsApp does not allow a Sticker pack that has less than three images. 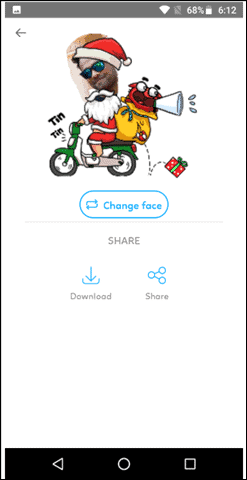 Download an app called Personal Stickers for WhatsApp. Open the app, and it will automatically detect all the stickers that you have created. 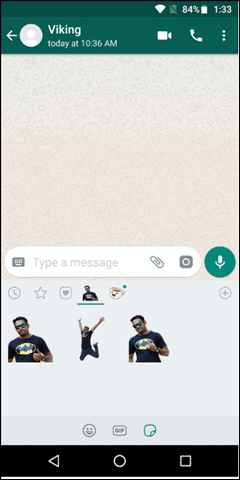 To create a WhatsApp Sticker, simply Now Click on the Add button. 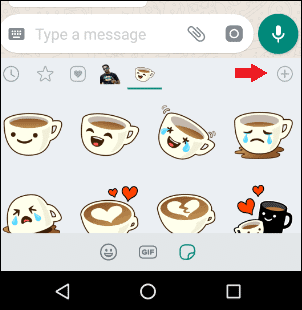 You can now head to the sticker section in the WhatsApp chat and see the Sticker pack that you have recently added. As you can see in the image, the stickers are added and successfully sent to the recipient. Another way to make your own Sticker pack for WhatsApp is to use “Sticker Maker” app by Viko & Co.
Go to PlayStore and download and install the app, Sticker Maker, on your phone. Now, click on “Create a new stickerpack”. 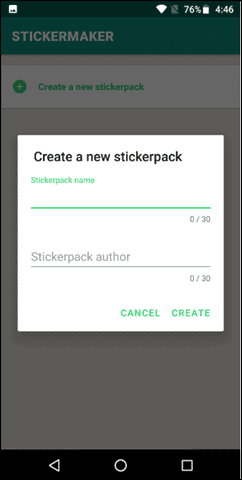 Now you will be asked to enter the “Stickerpack name” and “Stickerpack author” and click “Create”. 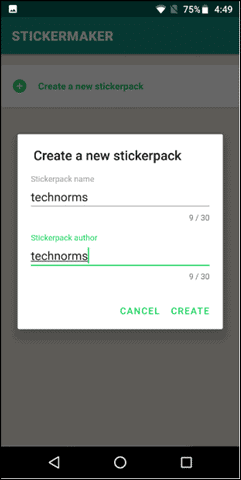 Click on the name of the sticker pack (in our case, it is TechNorms) you just created, and you will see an empty tray with no sticker added. Click on the tray to add stickers. Note: Make sure you have added at least three images since WhatsApp does not allow a sticker pack with less than three images. You can either select an image file from your storage or click a new one. As an example, we will take an image from our mobile storage. 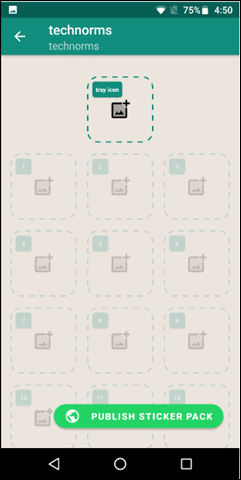 Now move your finger and select the part of the image that you want in the sticker form. Now the problem is, you have to do it in one attempt. 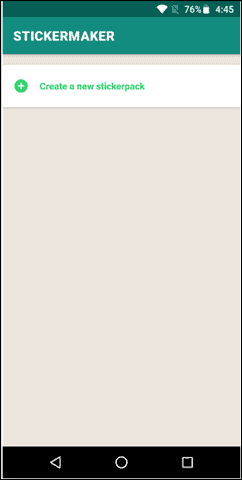 That means once you have started moving your finger on the image, you cannot stop in between. If you do take a break, you will have to start cropping the image all over again. Once you are done, click on “Yes, save sticker” or “No, try again” if you are not satisfied with the output. 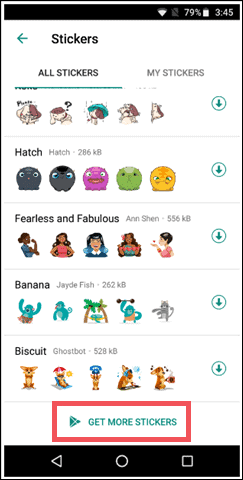 You will be asked “Are you sure you want to publish this stickerpack“, confirm it with a ‘Yes’ and you now know how to create WhatsApp stickers. Now the customized sticker pack is added to your WhatsApp sticker list. The third method allows you to have great fun with the images. Zamoji adds excitement to images that you can use as stickers on Whatsapp. Go to the Play Store and download and install Zamoji-Make Your Personal Sticker app by Zalo group. When asked, set your language as English. You can either login with your Zolo or Facebook account or just skip it by clicking Login Later. Now click on Make Sticker. 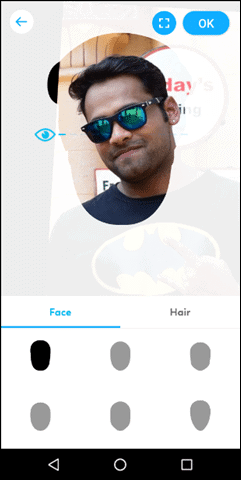 You can take an instant selfie or choose an image from your image file folder. Edit the image with the customization you want within the app. Once you are done with your image, click on OK.
You will see that your image has been merged with various funny stickers. Select the one you like. Now you can either download that sticker or share via WhatsApp, Gmail, or other listed apps. We did this one in a bit of a hurry, but if you take a good selfie, really awesome stickers can be created. All the three methods set up a different mood of how you want your stickers to look. If you want perfect customization, the first method is the one that you will enjoy the most. The second method is for those who prefer to save themselves from downloading multiple apps and just do it in a simple way. When it comes to adding fun to your images, the third one is the quickest. So make your choice and create WhatsApp Stickers to have fun!